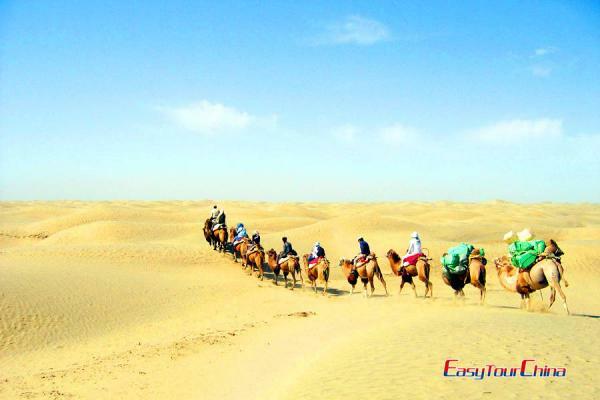 This program offers special experience from the Urumqi to the amazing hubs of ancient commercial path in Xinjiang. Enjoying the picturesque Sayram Lake then riding horse on Narat Grassland, visiting the most fecund pasture in south Tianshan Mountain – Bayinbuluke, heading to Kucha, Hotan, followed by Yarkant and Kashgar for brilliant culture trips! 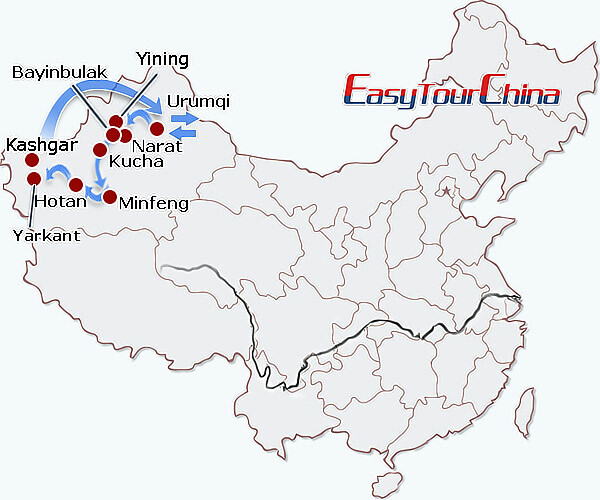 Upon the arrival of Urumqi airport, you will be met and transferred to hotel. If time permits, visit the Red Hill Park (the symbol of Urumqi city). Drive 120km northeast to the Heavenly Lake with an elevation of 2000 meters above sea level. The beautiful lake is flanked by rugged pines and cypresses, with melted clear waters reflecting the surrounding of snow capped highest peak-Bogda (5445 m), boating in the lake. Then drive back to Urumqi. In the afternoon, pay a visit to Xinjiang Uyghur Autonomous Region Museum to have some knowledge of the history and minority culture. Start early in the morning, and drive 650 km to the largest alpine lake of China - Sayram Lake, lunch on the way at Jing County. 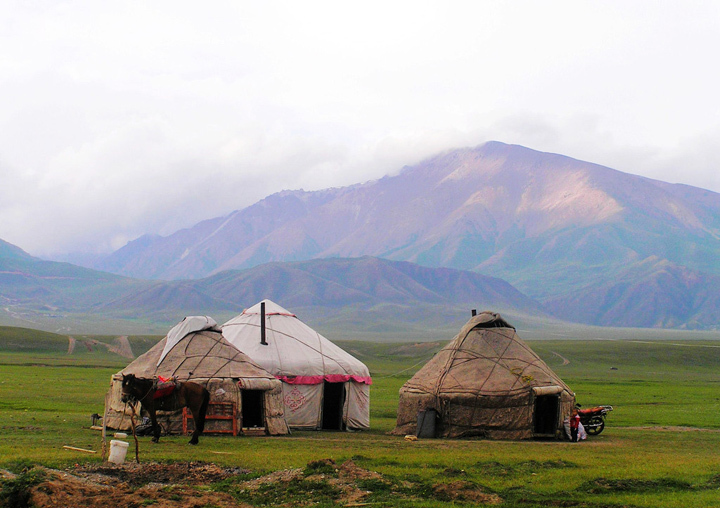 Upon arrival, you can choose to stay at a Mongol yurt or local hotel as you like. Explore the picturesque Sayram Lake, do some hiking or horse riding (optional). Then head for Yining after lunch, enjoy the stunning landscape on the way, stop over at Fruit Valley. Overnight in Yining (Ghulja). Head for Narat Grassland, and have lunch at a local Kazak family. Explore the Kazal village, try horsing riding on the grassland, boating in the river. You can choose to stay at either Kazak yurt or local guest house. Start early in the morning, after a local Kazak breakfast, then drive to the Bayinblak Grassland – the second largest one in China. Stop over at the Mongolian holy sites en route. After lunch, drive to Swam Lake to see the aquatic birds here. Overnight at Mongolian yurt. After breakfast, leave for Kucha. 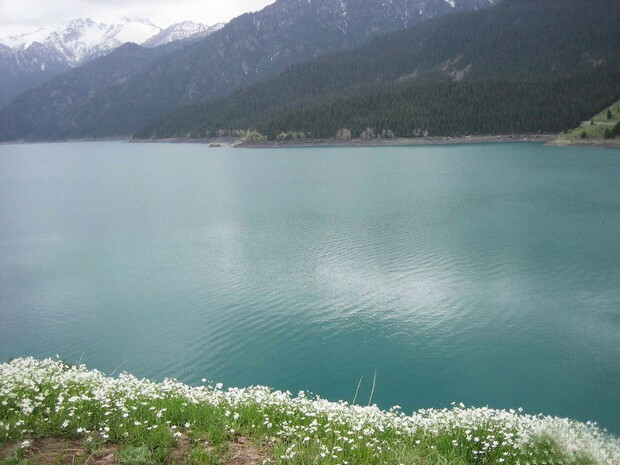 On the way, you will have chances to take photos of beautiful mountain landscape and visit the Dragon Lake. After lunch, you will explore a local village, then continue your trip to Grand Canyon near Kucha, finally arrive in Kucha around dinner time. 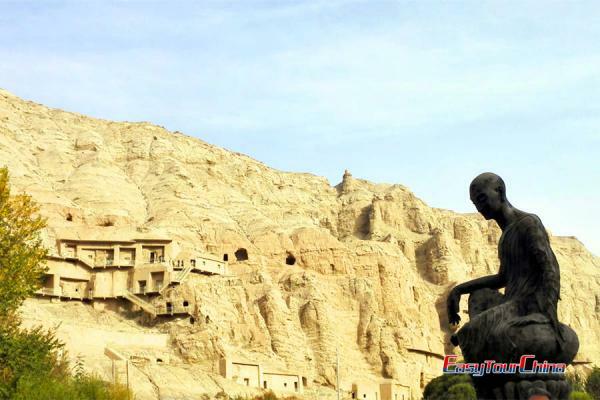 Full day tour in Kucha: Kizil Thousand Buddha Caves, Subash Ancient Ruins/ Ancient Kizil Kagha Beacon tower, Kucha Grand Mosque, and old town of Kucha. Drive 700km(420miles) to Minfeng via Taklimakan Desert Highway (522km/310miles). Stop over at the places as you like to see the sand dunes of the world second largest shifting sand desert and take photos. Drive to Hotan, visit Keriya Town en route. After arrival in Hotan, check into hotel and have lunch, transfer to visit Yorung Kash River (White Jade River), where you will see how local people search for the white jade at river bed. Today’s trip ends with a visit to an old mosque dating back to the 16th century in the Taklimakan desert around 30km away from Hotan city. In morning, visit Hotan Museum and traditional paper making family workshop. After lunch, drive to Yarkant. Overnight at Yarkant. 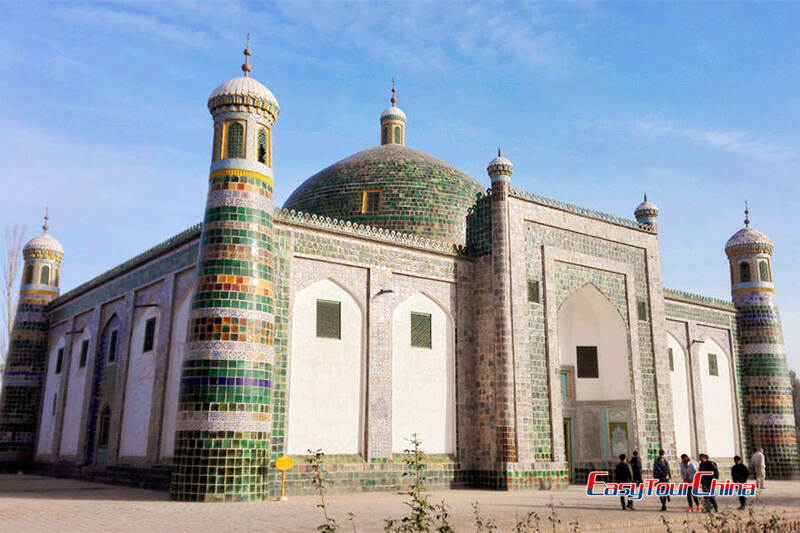 Visit Altunluk Royal Mosque and royal mausoleum, Amannisahan (a famous Uyghur female musician in history) Tomb, old district of the town. 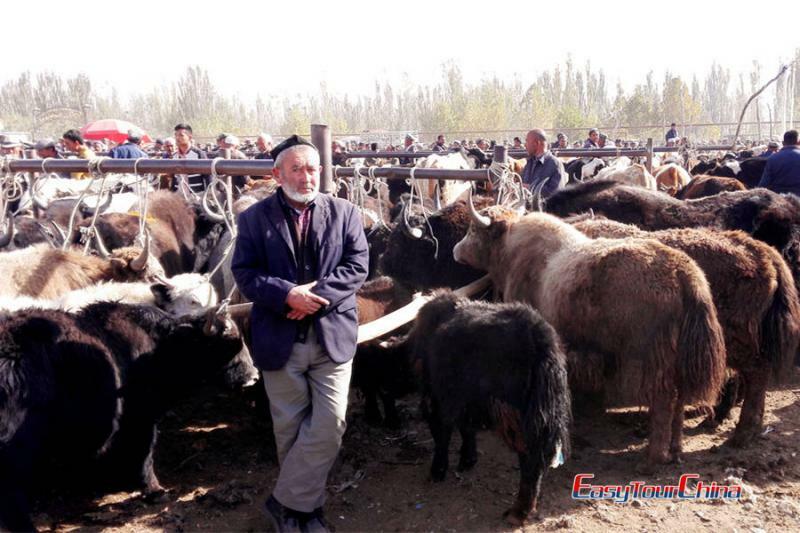 Then head for Kashgar, stop over at Yengisa country famous for knife-making en route. Overnight in Kashgar. Explore the Grand Sunday bazaar of Kashgar, which is a highlight of this trip. You will see the largest outdoor market in the Mid-Asia here! Visit Etgar Mosque and the Abakh Khoja Mausoleum, and the old town of Kashgar in the afternoon. Drive through the Karakurum Highway to Karakul Lake (180km), enjoy the beautiful view of snow-capped mountains of Muztagh Ata and its lake. On the way back, visit the Muhammed Kashgari’s Tomb Complex (an outstanding Uyghur scholar and linguist). Transfer to fly to Urumqi, free time at the rest of the day. Trasfer to the airport and fly to your next destination.